Click here to see a list of fines and fees. Click here to download the library card application. Library cards are free to Chesterfield County residents, and there are no age restrictions for cardholders meeting the following requirements. 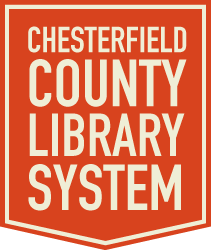 Your library card can be used at any Chesterfield County Library System branch. Your card also makes you eligible to borrow from public libraries throughout the state of South Carolina from libraries that are members of the SCLends Consortium. Resident in or owning property in Chesterfield County. Working or conducting business in Chesterfield County. Attending school in Chesterfield County. Some form of identification which includes name, current address, and prof of residence or work in Chesterfield County is required. There is no minimum age requirement for a card. Minors, ages 17 and under, must have the parent or legal guardian accompany them to the library, present ID, and fill out an application and co-sign the application. Those not living, working, or attending school in the county must pay a fee of $20.00 per year to obtain a library card which includes borrowing privileges and use of computers. Another option is to purchase a Computer Use Only card at $10.00 per year. With a valid out-of-county ID, a patron may also purchase a temporary guest pass for $2.00; these passes offer two hours of computer time. 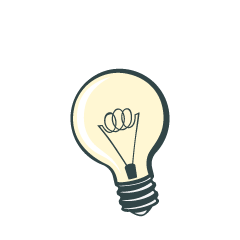 Any non-county resident is free to browse CCLS libraries, but they may not check out books or DVDs without a library card. The fee to replace a lost or damaged card is $3.00. First time library card users are restricted to the initial loan of two items. Afterward, regular privileges (20 items) are granted. Library accounts are confidential. By law, CCLS staff can only discuss a library account with the card-holding patron. This is to safeguard the privacy of each card holder and applies to both adults and children. Library card accounts must be renewed each year. If you card expires, you will not be able to check out materials, place holds, or renew items you have checked out beyond the card's expiration date. You will also be unable to use the library's public computers. You must pay all fines and fees before your library account can be renewed.